Friends of Nigeria had a brief chat with Mr. Alec Fokapu, a seasoned entrepreneur with vast experience in the African market, and specifically in Nigeria. 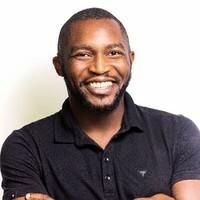 He is the CEO of FiftyFor, a B2B rating platform for African companies. Prior to launching FiftyFor in 2014, he founded an investment firm dedicated to financing promising African SMEs and entrepreneurs. Alec has over 10 years’ experience in investments with a focus on the African continent. FON: What do you perceive as opportunities and risks in the Nigerian market based on your experiences? Mr. Alec Fokapu: One of the main assets of Nigeria and more generally Africa is the people. You have a lot of people willing to consume products and you also have a lot of educated people willing to manufacture those products for the local market. So if you ask me about opportunities in Africa, I will just sum it up in one sentence; everything that is imported in Africa should be replaced with manufacturing. Manufacturing in Africa, having African made goods and services especially because of the enormous population. Manufacturing is something we are capable of doing and if we do this we will enrich the continent because we have a population that is willing and rigid consumers. FON: What is your advice to French investors and companies looking to invest in manufacturing and processing in Nigeria being that Nigerian population is over 180 million which is a huge market? Mr. Alec Fokapu: People usually have big projections but I don’t think that is the way to go. I will advise them to start small because starting small means taking fewer risks which allows you to evaluate easily and then reproduce it once you are assured that it works. You just have to anticipate where you can actually reach. A lot of times businesses come to Africa and don’t take time to learn and understand what is really on the ground. They would come with huge amounts of money, ask advice from locals, throw this huge amount of money in and lose it; then leave Africa and promise never to return. What I will advise is start small. Put in a little amount, if it does not work then stop it. The reality is that in Africa there is a risk and there will always be a risk like everywhere in the world. The only thing that you can control is how much of this risk you are prepared to take. Start small! FON: It is often said that partnership is a good way to penetrate a new market. What is your advice concerning local partnerships considering that trust could be an issue; what is your take on this especially as it relates to Nigeria? Mr. Alec Fokapu: I agree that having strong local partnership would take you farther but it could be expensive, if not well managed. You might have to spend a lot of money upfront doing due diligence without knowing whether it will work. Referrals are also another way, and once this is done you would also have to perform your due diligence. A recommended partner might not be the right partner. I can recommend someone to you to advise about the business but that does not mean he is the right person for your organization. There is no easy way to identify a good partner locally, you just give it a try and if it works you continue with the local partner in question. FON: What has been your best experience in Nigeria so far? Mr. Alec Fokapu: There is a way of doing business in Nigeria and more generally in Africa. This approach is based on the trust we have with people we know. Sometimes we try to mimic what is in the mirror but I believe there is a way to do business in Africa like there is a way to do business in China like there is a way to do business in South America. FON: How many cities in Nigeria have you visited? Mr. Alec Fokapu: Three so far. Lagos and Port Harcourt mostly and then I have spent a short while in Kaduna. FON: Working in Lagos must be quite an experience since Lagos is Nigeria’s commercial capital with an impressive population size of over 20 million inhabitants. Port Harcourt is also a commercial city with a concentration of multinational firms. It is famous for businesses related to the petroleum industry and is Nigeria’s major oil-refining city. Kaduna is one of northern Nigeria’s principal business hubs. Working in these cities certainly gives you a general knowledge of the business climate in different parts of Nigeria, something many Nigerians in the diaspora cannot boast of. How many times have you visited Nigeria? Mr. Alec Fokapu: So many times. About five times a year within the last four years. Mr. Alec Fokapu: Thank you.